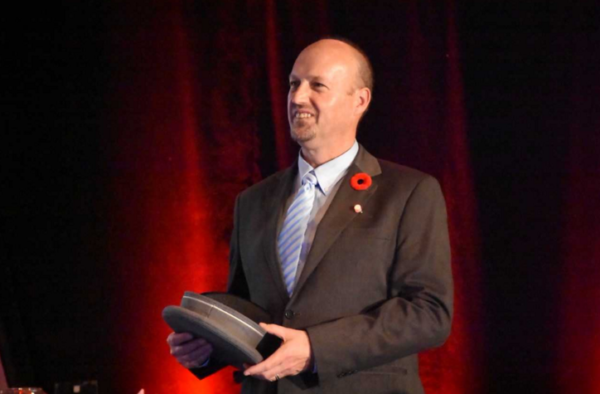 On Friday, October 27, it was our honour to host Concord Pacific’s 26th Annual C.H.I.L.D. Foundation Doormen’s Dinner. The C.H.I.L.D. 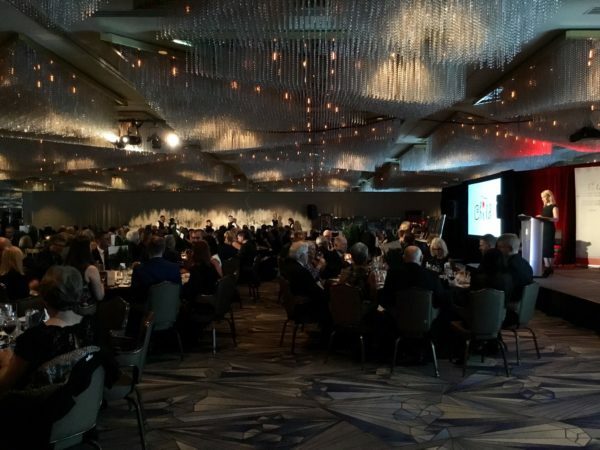 Foundation, established in 1995 by Grace McCarthy, OC, OBC, Lindsay Gordon, and Mary Parsons, funds research for children stricken with Crohn’s Disease, Ulcerative Colitis, and liver disorders. 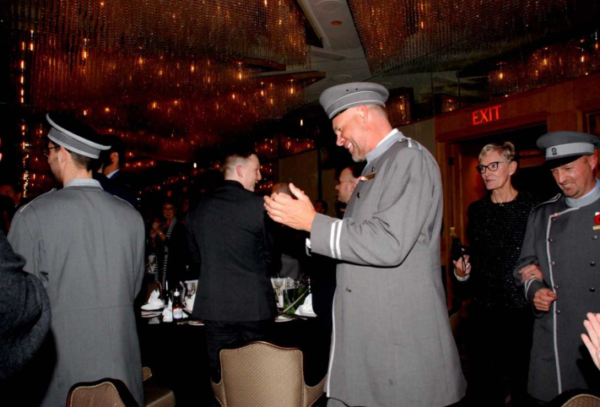 This year, Mary Parsons and the Greater Vancouver Doormen’s Association hosted the fundraising dinner that drew 250 guests to our Crystal Pavilion Ballroom. 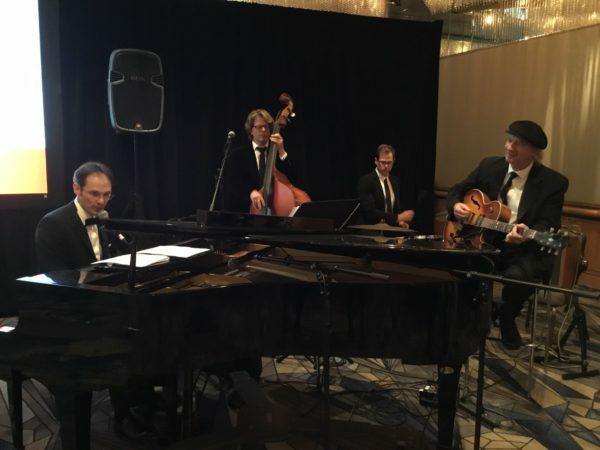 The evening kicked off with the colourful Parade of Doormen from British Columbia, Alberta, New York, and included live and silent auctions, a game of Heads or Tails, musical entertainment provided by the Dominik Heins Quartet and hosting duties by Global News’ Samantha Falk. 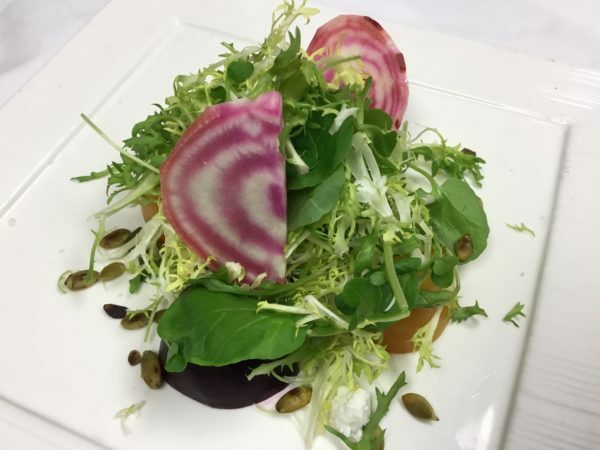 Guests were served a delicious dinner, starting with a trio of beet salad, watercress + frisée greens, apple honey vinaigrette w/goat cheese + roasted pumpkin seeds, followed by slow baked BC salmon w/citrus fennel purée, white asparagus, extra virgin olive oil potato confit + heirloom carrots. 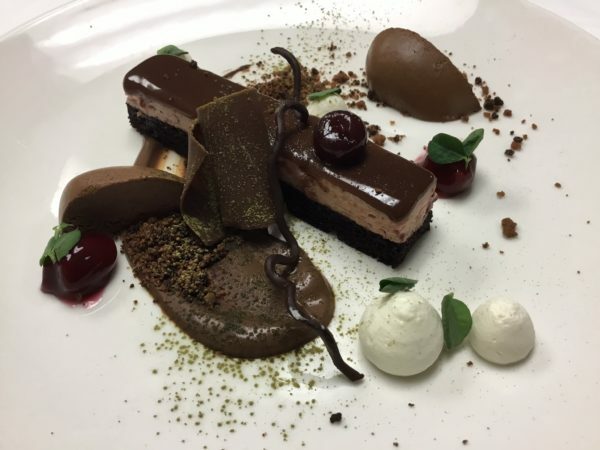 For dessert, guests enjoyed a traditional Black Forest cake with green chocolate garnish. 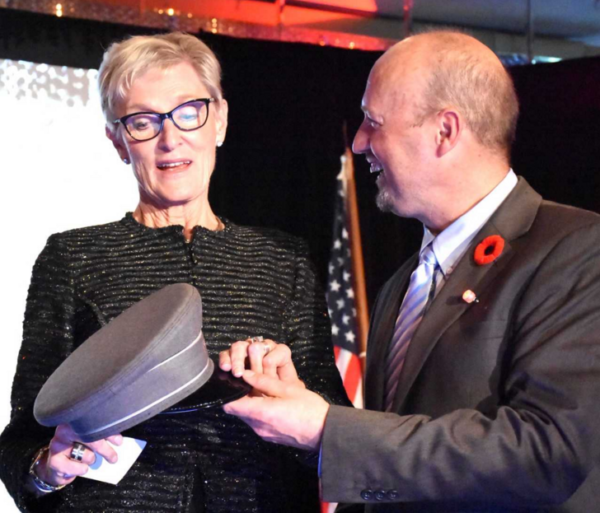 This year’s Honourary Doorman of the Year Award was presented to Nancy Stibbard, owner and Chief Executive Officer of Capilano Group of Companies. 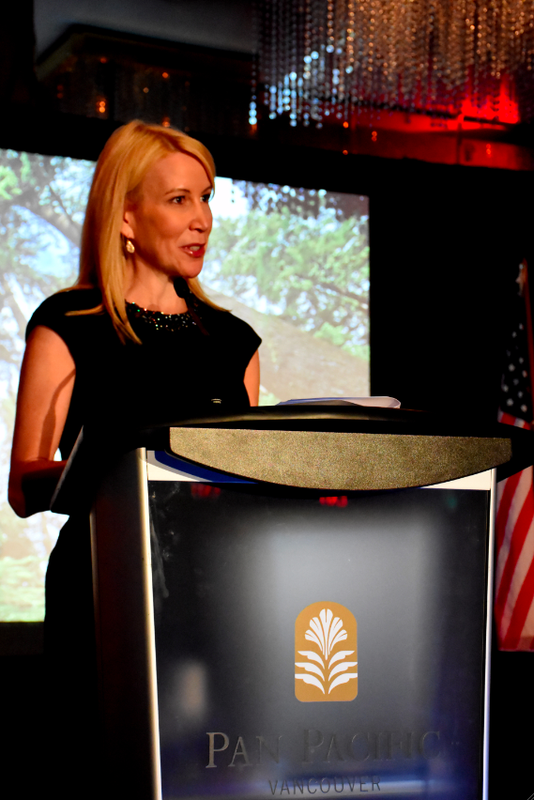 Nancy has been dedicated to BC’s tourism industry for over 30 years operating businesses such as Vancouver’s Capilano Suspension Bridge Park and others. 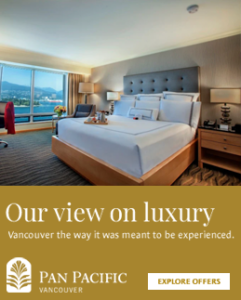 She has also been a member of the Tourism Industry Association of Canada and a past Chair of Tourism Vancouver. 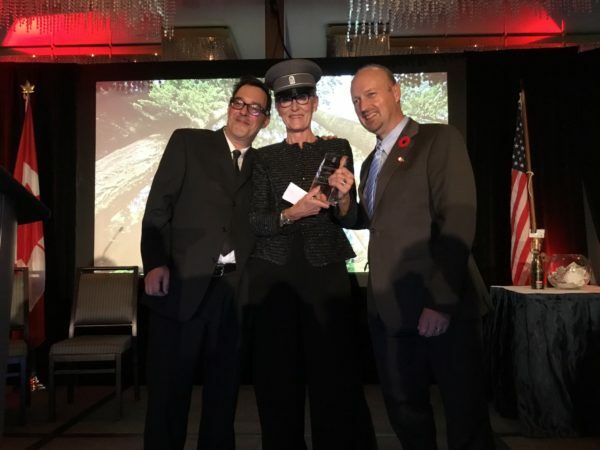 Our very own doorman, Peter Robb, along with Westin Bayshore’s doorman, Alain Gauvin, were on hand to present the award to Nancy Stibbard. 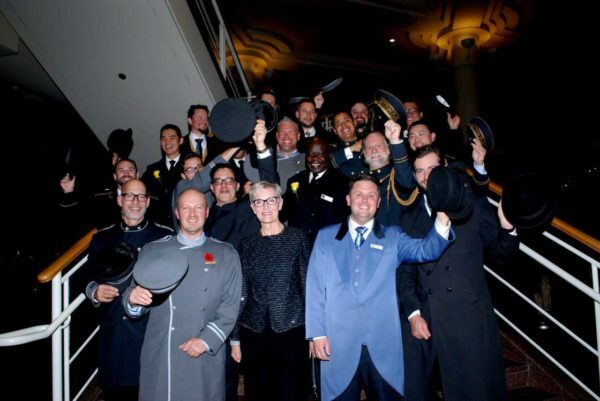 This year’s Doormen’s Gala raised $75,000, with donations still coming in. 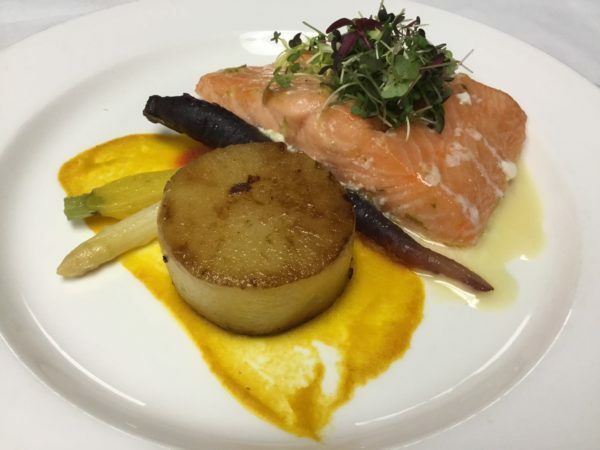 Pan Pacific Vancouver was proud to be a part of such an amazing fundraiser. Thank you to everyone who attended and donated!